The most frequently asked question is, "What is Monkey Bread?" Monkey Bread is the cross over between a traditional cinnamon bun & a sticky-bun. In our opinion, it's the best of both worlds. It starts with our signature sweet-dough, hand-tossed in a cinnamon & sugar mixture, baked with a caramel-sugar glaze, then topped with butter cream icing. We started with only serving the original flavor, but as the crowds grew to love our unique product, we branched out & came up with new creations. We now offer 11 different flavors , and also serve a "mini" original Monkey Bread, for those who just want a taste. If Monkey Bread isn't enough, make it a Monkey Bread Sundae by adding vanilla bean ice cream & our goop sauce as the topping. Yes, you're thinking right, it's one of the best desserts on the boardwalk. In 2001, a local couple with a unique idea, perfected recipe, & a dream started TM Monkey Bread on 9th & boardwalk in Ocean City, NJ. Throughout the years, they expanded the business, having three locations throughout Ocean City, NJ in 2007. In 2011, the business was sold to young Ocean City native, Laura Idell. Idell had been studying HR Management & Business Management at Rowan University. Idell had dreamed of becoming a business owner later in life. Idell worked for the former owners throughout college, & completed her internship through Monkey Bread. As graduation approached, the former owner Mary Wright, had an offer for Idell that made her dreams of becoming a business owner come true. Since taking over ownership in 2011, Idell has grown her business into selling one of the best breakfast sandwich’s on the Ocean City, NJ Boardwalk, fresh fruit smoothies, Acai bowls, & a variety of flavors of Monkey Bread. Since 2001, Monkey Bread has been an iconic family tradition on the Ocean City, New Jersey’s boardwalk. 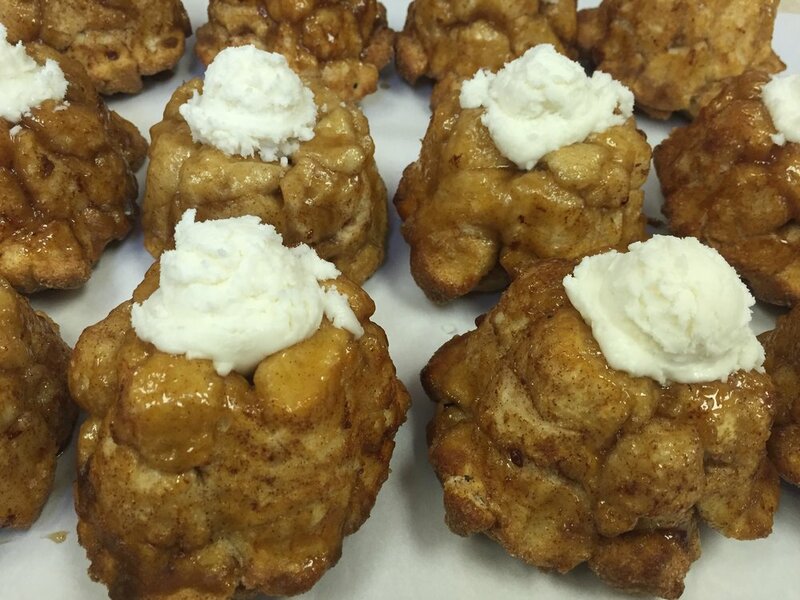 All of Monkey Bread’s products are hand-tossed and baked to perfection in house. 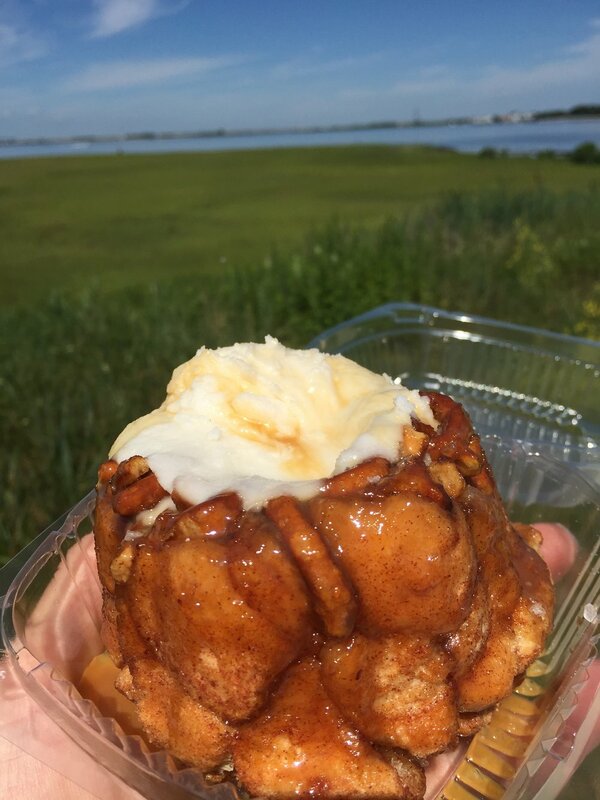 The aroma of cinnamon and sugar is sure to lure customers to Monkey Bread’s storefront that lies beneath a bright orange awning on the boardwalk.